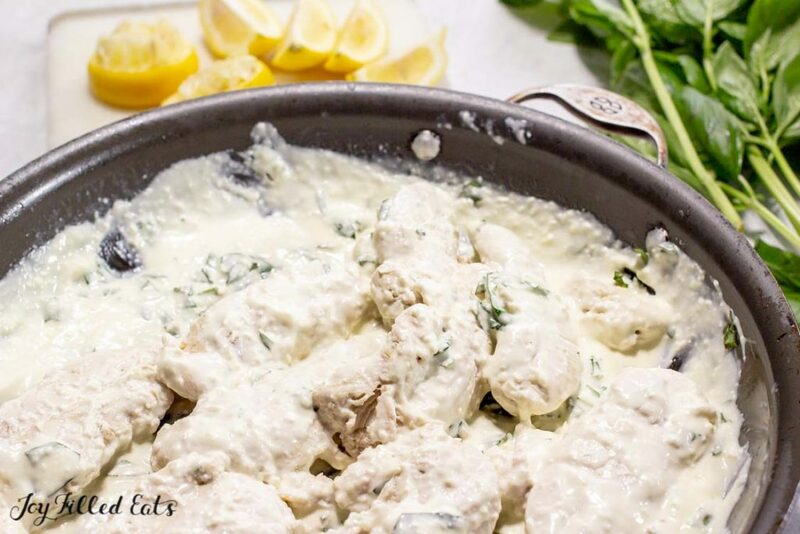 Creamy Lemon Chicken Recipe with Basil is a quick and easy skillet meal to please the whole family. In just 30 minutes you can prepare a delicious meal using simple everyday ingredients that will wow everyone from the kids to the dinner guests. I love cream sauces. Love love love them. Anytime we go to an Italian restaurant my go to is chicken in some type of cream sauce with vegetables. But they can be heavy. 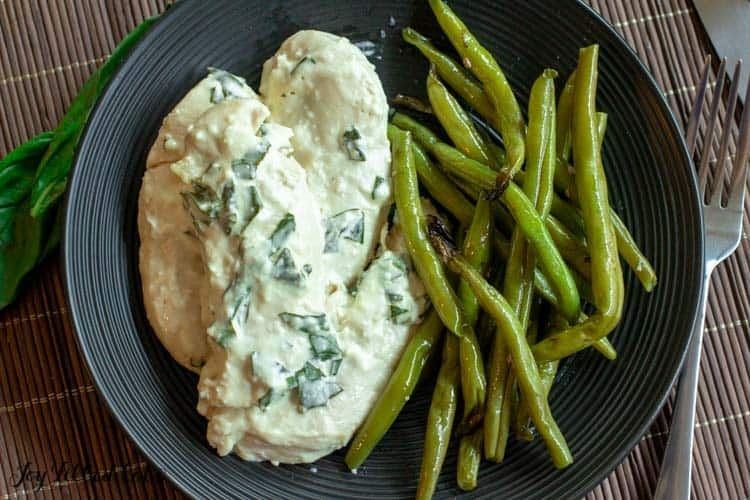 I wanted to make a rich and creamy sauce with lemon and basil to lighten it up. My family loved this recipe. Even the baby was gobbling up the chicken. On nights when 5 pm rolls around but I still haven’t thought about dinner meals like this using frozen chicken tenders are a lifesaver. I don’t do too much meal prepping (besides freezing taco meat) but I always like to have some quick and easy dinner choices on hand anyway. Some of my other staples are pulled pork from Costco (it doesn’t have sauce on it so it works for any diet), frozen turkey burgers, and for special occasions, frozen shrimp. 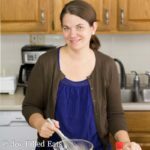 I can cook all of those items in about the time it takes for my children to make a couple side dishes and set the table. Frozen chicken tenders are one of my must-haves in the freezer. 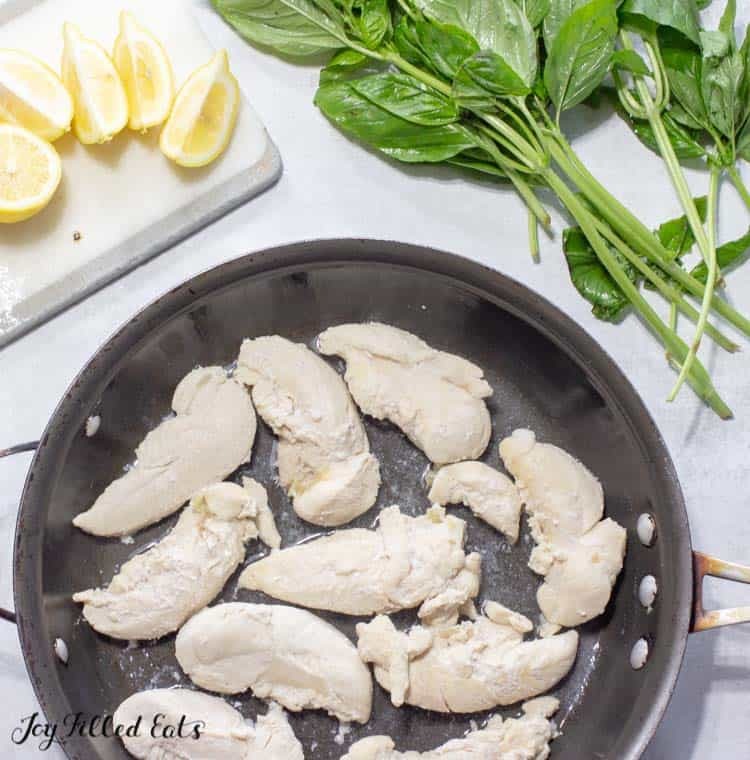 Since they are smaller than chicken breasts you can easily and quickly cook them from frozen. I just toss them right on the grill or put them in a large frying pan with a lid. 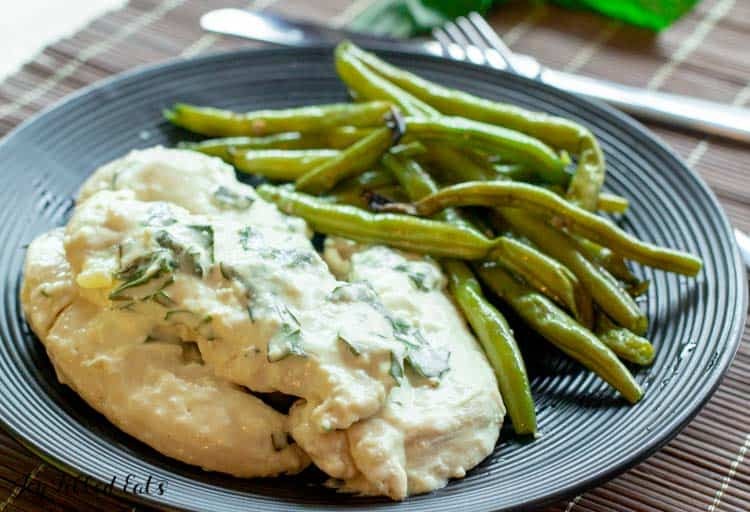 This Creamy Lemon Chicken Recipe with Basil is as easy and cooking some chicken tenders and then adding a few ingredients to the pan to make the sauce. While the chicken cooks throw some steamable bags of vegetables into the microwave or mix up a quick salad (our fave: How to Make Caesar Salad with 4 Ingredients) and you can have dinner on the table in 30 minutes. 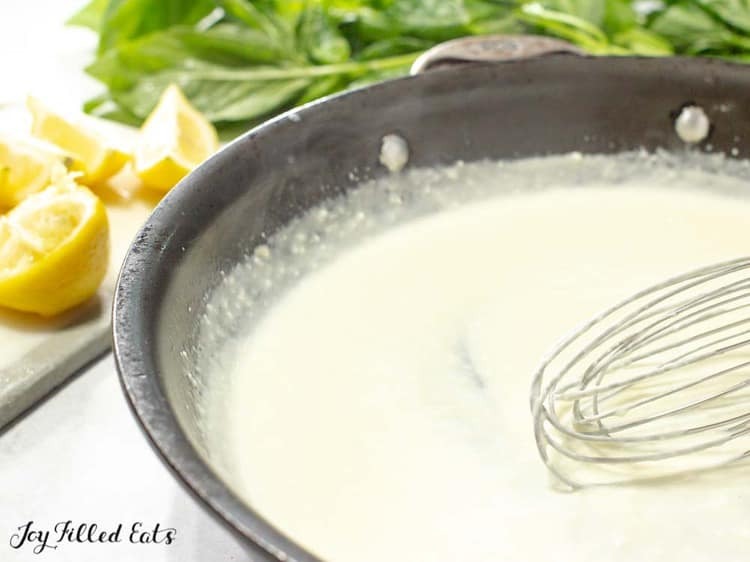 There are many ways to make a cream sauce but a lot of them do call for a thickening agent. 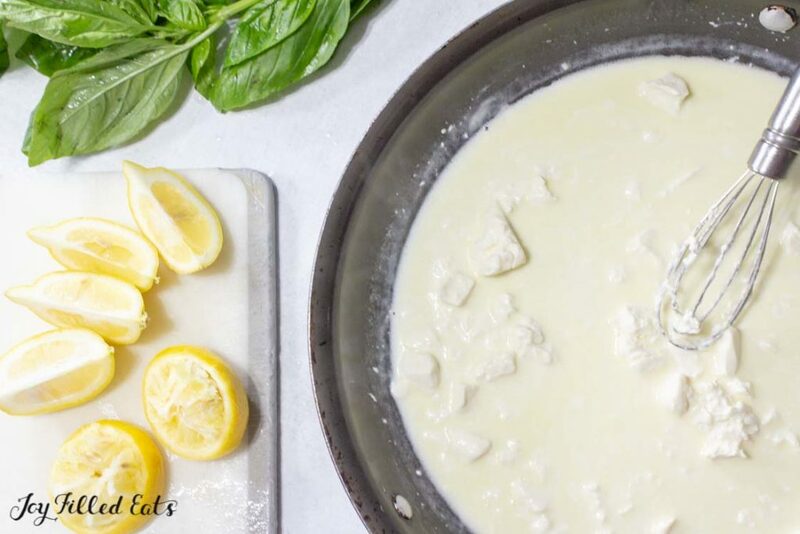 By using cream cheese in this lemon sauce you can have a nice thick cream sauce without flour or cornstarch. My lemon cream sauce is just cream cheese, the cooking liquid from the chicken, cream, butter, lemon juice, and salt. Just 5 ingredients to a delicious sauce. When making the sauce for the Creamy Lemon Chicken Recipe with Basil whisking it until smooth is the only hard part. You don’t need to worry about it overcooking or separating. It is so easy. I served this right out of the skillet but you can transfer to a nice platter if you are having company. Most of the time we just plop the cooking vessel on a trivet on the dining room table to save of dirty dishes. If you have members of your family that are not eating a low carb diet or for your children you can serve this on top of rice. 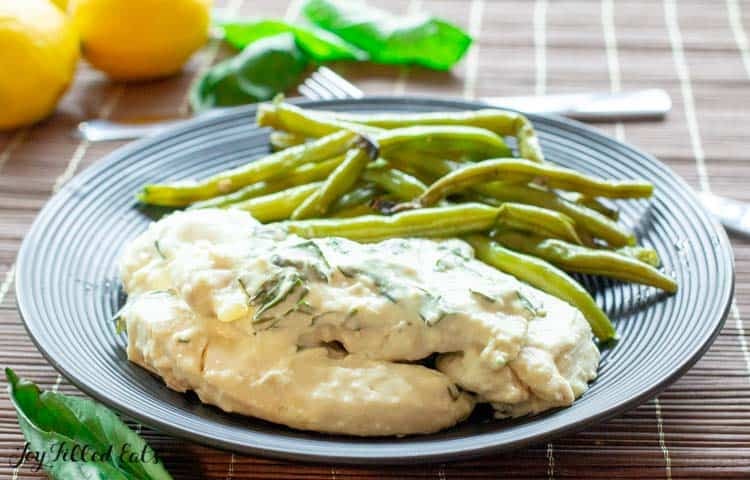 The lemon cream sauce for chicken is also good on broccoli, cauliflower, mashed cauliflower, or cauliflower rice. This creamy lemon sauce will be your new favorite condiment. Heat a large skillet to medium. Spray with cooking spray. Cook the chicken tenders covered, flipping as needed until they register 160 with a meat thermometer. Transfer to a bowl or serving platter. Reserve 1/4 cup of the cooking liquid and drain the rest. 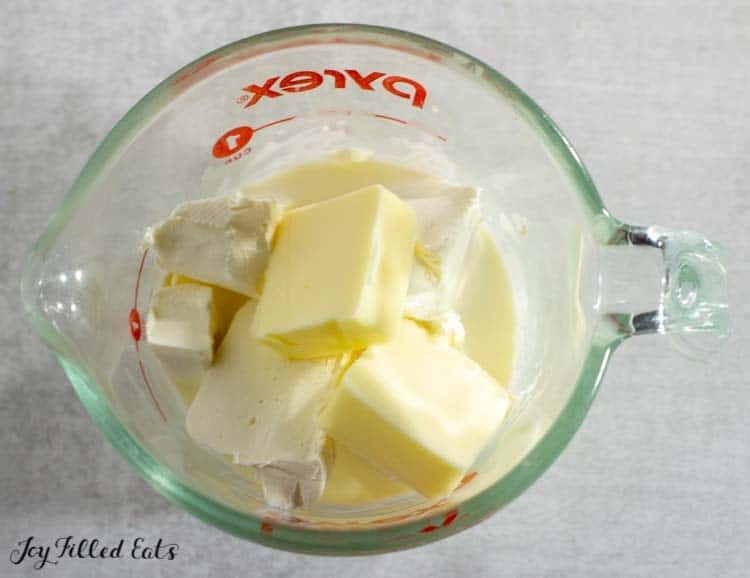 Add the cooking liquid back to the skillet with the cream and butter. Heat over medium until the butter has melted. Add the cream cheese and whisk until smooth. Add the lemon juice and salt to taste. Finally, add the chopped basil. Add the cooked chicken back to the lemon sauce and gently mix to coat the chicken with the sauce. Serve immediately. That cream sauce is to die for! This is going to make a regular appearance on our table. 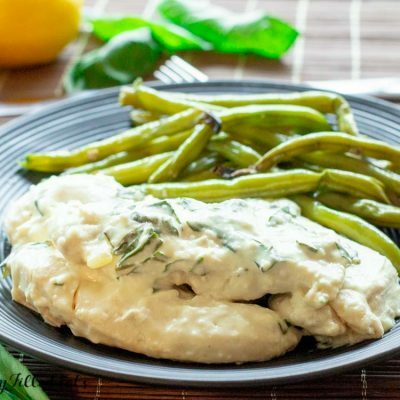 The creamy lemon sauce takes this chicken to a whole 'nother level! I am adding this to our weekly menu!